In the opening verses of Chapter 9 Paul gave us three reasons God himself gives for his actions. These are the principles upon which he acts. Romans 9:1 tells us that God does not base redemption or salvation on natural privileges, like inheritance, ancestry, education, opportunity. All these natural privileges, though they may be granted to an individual and may give him great access to knowledge about God, do not guarantee that a person is chosen of God. Salvation is always based on a divine promise. God himself promises to act. He never bases salvation upon what human beings are going to do. At the heart of redemption is a promise that God has given and that we are to respond to. Paul points out that God’s choice is never based on the behavior of individuals, whether good or bad. Paul proves it in the case of Jacob and Esau, in which a choice was made before the boys were born, before they had opportunity to do anything, either good or bad. God made a choice. Therefore, salvation or redemption never is based on human works. On what is the basis does God choose then? If it is not works, if it is not the natural advantages which he himself gives, then what is it? Paul’s answer, in the second half of Romans 9, is that it is based upon God’s sovereign right to choose. 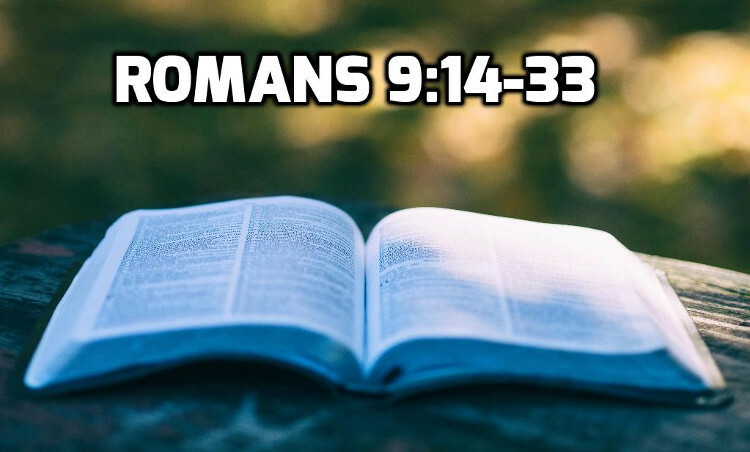 Previous: 14 Romans 9:1-13 Is the Gospel too Good to be True?